If you build a better screw thread (yes, screw thread), will the world come calling? 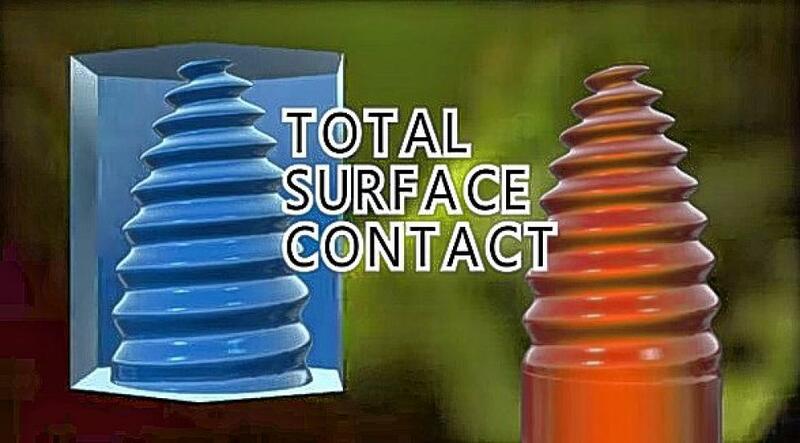 A screen shot from Dale Van Cor's video about his screw-thread designs. I feel very safe in predicting that you, dear reader, have never thought much about screw threads. In other words, you are not Dale Van Cor. “This has been a compulsion of mine for seven years,” said Van Cor, an inventor who lives in tiny Winchester, in the state’s southwestern corner. Van Cor, who is in his 50s and owned his own software businesses before the inventing bug bit him, has three patents issued or about to be issued for new screw thread designs. He thinks they could revolutionize industries from bridge construction to oil pipelines, but first he has to get them to the market. “I’ve read that instant successes take 10 years. This may take 15 or 20,” he added, only half-joking. Van Cor’s idea is simple in concept: Change the shape of screw threads and the internal thread that they fit into, increasing the amount of surface contact between the two. But his changes are not trivial and are a product of computer-aided design and prototyping with 3-D printers. His “wave thread” looks like a futuristic pine cone while his “concentric” thread can be screwed in tightly even though it’s non-circular: “It can be a leaf, a map of the United States or a square,” he said. He calls them “total surface-contact threads,” although to a certain extent he says that is misleading because the idea isn’t to build a better wood screw. More surface contact, he says, means that stress is more evenly distributed – he claims the wave thread is 20 percent stronger that traditional designs – and less moisture can seep in. This reduces corrosion in metal structures and creates better seals when, for example, sections of pipelines are connected, he says. All well and good, but to an outsider it’s hard to believe that a lone inventor could make breakthrough changes to a technology that has existed for a couple of thousand years. I certainly find it hard to believe; this column is not evidence that he’s right, merely evidence that he has an interesting idea. He has three patents, but patents are no evidence that an idea works, merely that it’s novel and doesn’t raise obvious concerns. Van Cor understands this reluctance and has launched a crowdfunding campaign on RocketHub, his second such push, to overcome it. He wants to raise money for an online store where individuals could download the design files and try out the designs themselves. Sounds like a reasonable approach, and while I wouldn’t bet that it succeeds, it’s not a crazy approach. If nothing else, it’s a reminder that even the most mundane aspects of the designed world – and you can’t get much more mundane than screw threads – can be improved.